At IMPACT Live this summer, I very much enjoyed the talk Paul Roetzer delivered on artificial intelligence in marketing. I had been thinking about the topic a bit, but didn’t know where to start learning. Paul, founder of both PR 20/20 and the Marketing Artificial Intelligence Institute, showed me the way. I was wary digging in on my own because AI in marketing has a lot hype right now, kind of like social media marketing did about ten years ago. There is no doubt that AI in marketing is here right now. Just yesterday, HubSpot announced an AI powered content strategy tool that makes it easy to discover and ultimately own the topics that matter to you and your customers. It crawls your site and suggests topics based on relevance, competition, and popularity, and then helps you organize those topics into clusters of content that define and elevate your influence in search engines. AI helps the discovery process as HubSpot's machine learning technology pulls from huge datasets that are too complex using traditional methods. "SEO best practices have changed drastically in the past five years. Unfortunately, many marketers are still using the same old tactics that worked a decade ago, but now only serve to clog up search results with irrelevant content and keep teams from hitting their goals," said Kipp Bodnar, Chief Marketing Officer at HubSpot. "Content Strategy was born out of our own realization that the way we approach SEO had to change. By combining machine learning and hard data, Content Strategy empowers marketers to deliver better results and more traffic with more high-quality, targeted content." Since I heard Paul’s talk, I have educated myself using two sources that I can highly recommend. If you’re an entrepreneur of a marketer, you won’t become a data scientist overnight, but you will quickly learn enough to be conversational around the topic of AI for marketing. And if you do meet a data scientist, you can hold your own in the conversation. Detect: AI can discover which elements or attributes in a subject matter domain are the most predictive. 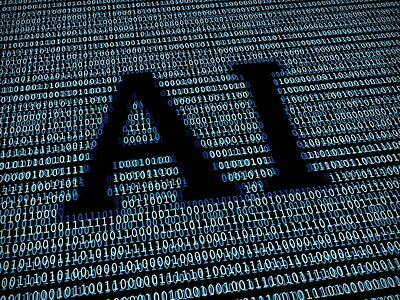 Decide: AI can infer rules about data, from the data, and weigh the most predictive attributes against each other to make a decision. Develop: AI can grow and mature with each iteration. I wanted a no-nonsense, easy to understand book about the basics of artificial intelligence and machine learning in marketing. 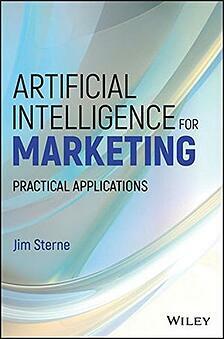 Fortunately Jim Sterne cuts through the clutter and delivers an interesting book for marketers like me as well as for data scientists who need to work with their marketing colleagues. Jim's got a wonderful style that makes learning these complex topics easy and fun. Once you’ve learned some basics from Jim’s book, you’ll want to stay current on what’s going on in the world of AI for marketing and that’s where Paul Roetzer’s Marketing Artificial Intelligence Institute can help. You can sign up for updates to the MAII blog. The Institute’s mission is to: Educate modern marketers on the present and future potential of artificial intelligence, and connect them with AI-powered technologies that can drive marketing performance and transform their careers. Disclosures: I’m on the HubSpot advisory board. I wrote the foreword to a previous book form Jim Sterne and we both publish via John Wiley & Sons. Paul Roetzer is a friend.